Welcome to 2016! Let’s make sure we are starting the new year off well. I recommend starting with a review of 2015 and what worked or didn’t go as planned, what efforts to concentrate more on and how on earth to know if 2016 was a success when we get to next December. How to do all of this? 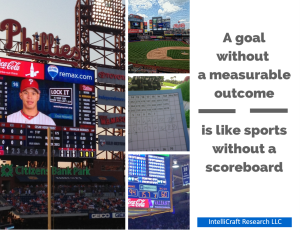 By setting clear, measurable goals! When you are creating plans and new campaigns it’s important to spell out why you’re undertaking each campaign – what’s the purpose? What action are you hoping your community takes? What will show as moving the needle? Set your goals upfront so you can measure what you do and KNOW what is or isn’t working. I set business and marketing goals for myself as a solopreneur and library consultant. You know that big corporations do it, nonprofits as well – and your library marketing team needs their own marketing specific goals as well, no matter how big or small your library or team. S: Specific – you want a clearly defined, narrow, short – specific – goal. Amorphous or wishy-washy, vague goals will get you nowhere. For example, saying what you want to gain or lose, but only in broad terms, leads to inaction because you don’t know how to get there. That’s why yearly resolutions to ‘lose weight’ fail quickly. How much weight? By when? By doing what? And why? Saying ‘I want to lose 15lbs by November by going to the gym and walking or riding the bike 3x/week and eating meatless Mondays – so I can stop my knee pain’ is something I’m more likely to achieve because it’s specific – and also measurable, realistic and has a deadline. [And I really would like to avoid further knee pain!] More on those other letters in the acronym below! Similarly, saying you want to ‘improve our marketing’ this year, or ‘grow awareness of our library’s story-time hour’ is also too vague. I hate seeing library plans that have “all community members will see the library as a place that has something for everyone” as a goal. Yes, that’s a real goal I’ve seen in library documents. [ouch. my head and heart hurt reading that] Dissecting ALL the problems in that one statement would take another post, but you can see that at minimum it’s vague, with nothing to measure and no time frame. It’s more of a vision statement. You can, and should, get even more specific. What does ‘improve our marketing’ mean for you? Will you take, complete all assignments, and get Bs or better for 2 marketing courses by June, one on graphic design and the other on social media marketing planning? Wow, that’s a lot more specific. And yet, I bet you could get even more so – by adding in more about deadlines, how you measure ‘awareness’, a percentage increase of attendance, etc. 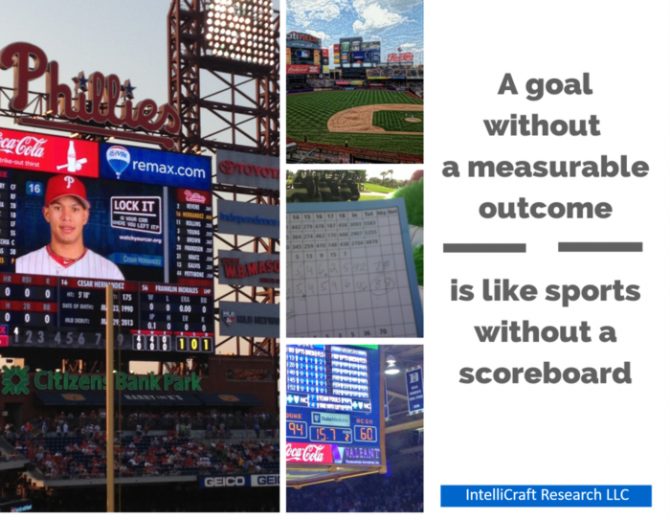 M: Measurable – if the goal isn’t trackable and measurable, it’s not a good goal. Saying you want to ‘increase social media following’ isn’t trackable as stated. If you had 100 Twitter followers at the beginning of 2016, and you ended the year with 101, well, technically you made your goal. You increased. But, c’mon, let’s get real! Restate that goal to ‘we want to increase our social media following on X platform by 25% by the end of the year’. Now you can measure your progress each month to see if you went from 100 to 105, then 110 and finally 125. Now you know you hit your goal and how you got there. It’s measurable and it’s also more ambitious and meaningful. Goals that try to ‘increase awareness of ____’ are often hard to measure. How will you know if your target is more aware of something? You’d have to measure their awareness before you started a campaign or promotion and then measure it again afterwards. Big brands do that – but costs big bucks. You could try pre/post event surveys, or asking attendees how they learned about an event – not as statistically robust, but it gives you information as a baseline or to tweak your efforts. Or … change the wording and framing of your goals to something you CAN measure, with the tools and resources you DO have. Whatever you do, don’t forget to have the tools and plans in place from the beginning to measure your activities and check your progress. A: Attainable – truly smart goals will stretch and push you top achieve more, go beyond what you’ve been doing. But, they should also be something that your current resources support and that you have a reasonable shot at achieving. Sure, you could set a HUGE goal with a number you could track – like ‘increase our Twitter followers to 2000 (from 100) by the end of the year’. But is that attainable? (and is it realistic or meaningful?) You could set a goal of having 2000 subscribers on your mailing list at the end of the year … but if you only have 100 now, and your niche or audience is small, and you’re a solo-practitioner – is that a realistically attainable goal? Do you know what you’d need to do to reach 2000? If your website analytics show you already get 1000 real visits per month (awesome! ),you goal should be bigger! If you’ve grown at 10% per month in the past, why not bump your growth goal to 15%? How many more visitors would that be? How many more new users could that turn into? And can you direct them where you want when they get to your site? Likewise, saying you want to ‘achieve 25% growth in your email list every month this year‘, when you’ve only averaged 2% the entire past year (or even 2%/month) means this goal will be really hard for you to attain realistically. Some managers and bosses try to push their teams to ‘go as far or high as possible’ – but really they are setting their teams up for disappointment and to feel discouraged when they can’t ever hit those lofty numbers. The team never sees and feels real success. That’s a recipe for burnout and disaster. At the same time, you don’t have to low-ball your numbers – goals should stretch a bit, push yourself but also keep it realistic and encouraging. R: Relevant/Realistic – setting goals that matter, right now, right here. Is the goal relevant for this month or quarter or for setting you up for success later? Setting a goal to ‘send out holiday cards to all your clients, prospects and leads from this year by Dec 15th‘ is great – if you set that goal in October or November, but not so relevant if it’s April’s goal. Setting a goal to ‘increase by 50% the number of new primary research projects you take on this quarter‘ is great, but not so relevant if you know you have commitments and existing work that means you can’t complete 10 new jobs. Scale back the goal. 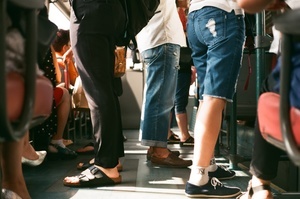 If your goal is 1000 more visitors per month via social media, think about what actions you will need to take in order to drive that many people from your social media accounts to your website. 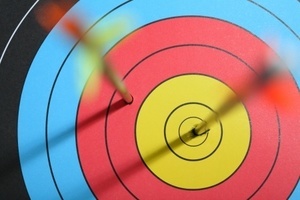 What will make them click through to your site? What content do you need? What headlines? What events are you promoting? What news will you share? How can you tap into popular events, holidays, culture or news? Your actions have to realistic as well – if they overwhelm you, scale back those goals. Is that a realistic goal for this time frame and what else you or your organization has going on? Achievable is what makes it a good goal and not just a wild dream. Don’t set a goal you don’t have the capacity to meet with success. T: Time-bound – Now you need deadlines and time frames for meeting those goals. 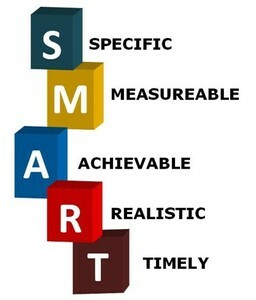 The other parts of SMART help narrow down your goals so you can see how to achieve them. But I’ve seen it said that ‘a dream is a goal without a deadline’. 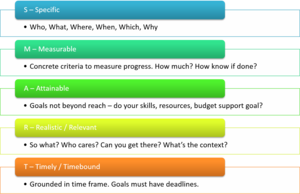 The reasonable deadline aspect is so crucial to SMART goal getting … and achieving. Don’t keep kicking the can of your goals down the road! 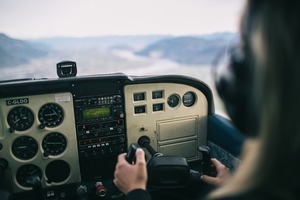 Setting realistic time frames for one goal also impacts the related or secondary goals you have, as well as your action plan(s) for achieving those goals. It’s a balancing act. Just like you don’t want more kids than you can handle at a single story-time, you don’t want to add so many story-time slots so quickly that you haven’t got the awareness or attention of parents and kids to attend at those new times! Or the staffing to read the stories at all those new slots! 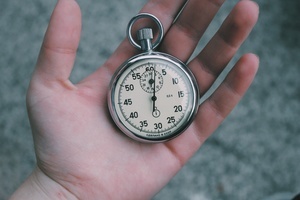 Setting a goal to increase social media engagement by %x by end of the quarter or by the end of the year makes more sense than a weekly or monthly time period. You need time to develop your tactics, gain traction and make some minor adjustments. Another part of SMART goals (especially for checking relevancy and attainability) is noting what your resources are. This is a big part of whether your goal is Attainable and Relevant. How many hours per week can you dedicate to this particular goal and its subsequent tasks? What about your team? Do you all have the time? Do you have other commitments? Well, we all do – but is there flexibility there or are they firm, non-changing dates or events? Do you have the tools and resources that you need at hand? To work on the goals in the given time-frame? Is there some looming external factor that could throw your carefully planned time-frame out the door? Will you have to buy, rent, borrow, or beg for these resources? Focus on areas that you can control for your goal setting. Maybe you think it’s realistic to get 5 new clients this year. But … whether your clients sign a contract may not be 100% in your control. What if you changed the framing to: you know that you need to contact and talk to 5 prospects for every 1 client that usually signs on board – then you could set a goal of contacting, getting a meeting with, talking to, and giving proposals to 25 highly qualified prospects this year. All those steps ARE in your control. And set you up for success. Maybe your library has goals that rely too heavily on the input and actions of others, especially outside groups (and even a Friends of the Library group is outside of your normal, day-to-day operations team). Can you realistically control whether your town’s Board of Supervisors will change the library’s budget or that a millage vote will go in your favor? Maybe. Or maybe it’s better to reword and reframe those goals into actions you can control – such as how many influencers in your town you can talk to, number of articles in the local paper in support of the mileage vote, number of doors knocked on by library staff, pamphlets handed out, etc. Don’t rely on actions, time tables or resources of others for your full success. 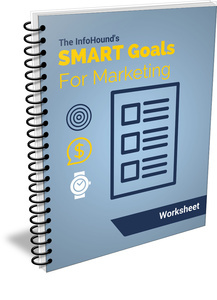 Have you gotten your free worksheetson writing SMART Goals for Marketing? Now’s a good time! It’s always a good idea to create internal benchmarks to measure your goals and success against. It doesn’t matter much what another library, or business or nonprofit does. I don’t care how many ‘followers’ I have versus other library consultants. I DO care how many I have versus the same time frame a year ago. I care more how many email subscribers I have, how many click-thrus on my emails (versus my OWN emails – not some ‘industry average’) and how many webinar attendees this quarter versus last quarter or versus a year ago. I recommend the same for you. Set and track your own benchmarks. Want to know some of my marketing goals for 2016? Add 200 new subscribers to my email list by end of 2016 via targeted, highly educational opt-in offers promoted on my website, via social media and by email. Create and post a minimum of 1 in-depth, educational, marketing-focused blog post per month on my IntelliCraft Research site and share it via social media and email. Increase my website traffic by 25% [VYA] with an emphasis on visits to Services, Workshops/Training and Blog posts via: posting on social media at least 1x/week and interacting with and leaving insightful and useful comments on appropriate forums/groups/blogs. What do you think? Did I set SMART marketing goals for myself and follow my own advice? Leave me a comment or Tweet at me and let me know how I did as well as what YOUR 2016 SMART marketing goals will be! Let’s make 2016 our smartest and most successful marketing year ever! Copyright 2018 by Jennifer E. Burke, IntelliCraft Research LLC.